We get it and we’ve been there. Dry skin is frustrating. It grabs hold of your self-confidence and leaves you discouraged. Oftentimes, it feels as though your dryness appears without any reason or explanation. And when it comes to reversing your symptoms, it’s difficult to pinpoint the best solution. We understand this uphill battle and these feelings of frustration you may have towards your dry skin. Whether you’ve researched and read countless articles, asked a friend for advice, or even sampled every moisturizer at the drug store, your effort is useless unless you understand why you have dry skin in the first place. The purpose of this article is to bring the underlying sources of dry skin to the limelight. By first understanding the reasons why you may have dry skin, discovering a solution to your skin condition is a simple second step. So let’s get started. The solution to your dry skin awaits. How Does Weather Affect Dry Skin? When you think of weather impacting your dry skin, a harsh winter day is most likely what comes to mind. Cold winter months decrease the moisture within your skin. The harsh winds, chilly nights, and low levels of humidity leave skin dry, flaky, and red. In fact, during cold weather, your skin loses up to 25 percent of its ability to cling onto its natural moisture. To combat the dryness you experience during winter months, we suggest wearing protective clothing, such as gloves and scarves, to work as a safeguard against the winter elements. Additionally, applying a generous amount of moisturizing cream and installing a humidifier indoors is best. While this is valuable information, if you live in Arizona, tips on protecting your skin against cold weather seem ludicrous. Typically, the only time you’ll need to protect your skin against a chilly winter night is if you’re traveling up north or leaving the state. However, just because you don’t experience a harsh winter doesn’t mean your skin is left unaffected by the weather. The reality is, because you live in a dry desert landscape, your skin is just as prone to dryness as those who live in colder cities. The “dry heat” you experience in areas such as Mesa, Phoenix, and Paradise Valley may be the reason why your skin is parched. When your skin is soft and fully moisturized, it contains the appropriate amount of water content. Ideally, your skin should contain 20-35 percent water content, with a minimum of 10 percent. So if you live in the Valley, it’s crucial to take preventative actions to ensure your skin is comprised of at least the minimum water content of 10 percent. How Do Showers Cause Dry Skin? There’s nothing better than a long, relaxing, hot shower. It gets your day started in the morning and calms you down after a long day at work. However, what you may not realize is that this relaxing time negatively affects your skin. When you shower, you’re cleansing your skin of the toxins and oils that you come in contact with every day. So why are the repercussions negative? When you take a hot shower, the heat makes the oil within your skin soften. Much like butter melts when heated, the oil in your skin does the same. When you add soap into the mix, your skin’s natural oil barrier is stripped in no time. We recommend using lukewarm water and a moisturizing soap to help retain moisture and reduce dryness during your shower. Another factor that plays into your affected skin is how you choose to dry off after your shower. If you immediately take a towel and rub your skin dry when you step out of the shower, then you’re causing more harm than good. Even if you don’t realize it, you’re not allowing the water to fully soak into your skin, ultimately causing frustrating dryness. To make certain that your skin remains hydrated and healthy, we have a few tips when it comes to showering. The first is to turn down the water temperature. As good as a hot shower feels, it may be causing serious damage. The next tip is to reduce your shower time. The longer you’re exposed to steam in the shower, the drier your skin becomes. Because of this, it’s important to limit your shower time to a maximum of ten minutes. The last solution is to stick to a routine when exiting the shower. After your shower, gently towel dry your skin so that it remains damp. Next, apply your dermatologist-recommended moisturizer. Applying moisturizer to your skin while it’s still wet allows the lotion to seep into your skin for maximum effectiveness. As a tip, and in case you’re prone to forgetfulness, we suggest keeping an extra bottle of lotion in your shower as an easily accessible reminder. If you find yourself with dry skin, your cleanser may be the culprit. Although it’s true that cleansers work to clean your skin, some are harsher than others. Harsh cleansers strip down your skin’s natural barrier and can cause it to flake, crack, or even bleed. Because of these repercussions, it’s crucial to understand what type of cleanser works best with your skin. The best way to discover what cleanser keeps your skin healthy and moisturized is to consult your nearest dermatologist. Dermatologists are the greatest reference for any skin care questions. And at Arizona Dermatology, our top dermatologists are here to ensure that you leave completely satisfied. By setting up an appointment, we’ll recommend a cleanser that’s perfect for your skin type. However, just as a rule of thumb, cleansing your skin using a mild, non-comedogenic soap with gentle exfoliation is best. Be sure to stop by one of our locations across the valley to determine whether or not your cleanser is causing damage. We’ll take the time to fully understand your unique needs to ensure that you feel confident in your own skin once again. Have you ever noticed that an itchy sweater makes your skin rash? Or that various skin care products cause your skin to react? Or maybe even that certain ingredients in your laundry detergent leave you with unwanted dryness? If you’re nodding yes to any of these questions, irritating materials and ingredients are the cause to your dry, flaky skin. However, if you’re unsure, try eliminating certain items from your life for a few days. By removing a perfume, staying clear of chlorine pools, or switching to a non-irritating detergent, you’ll be able to notice if your skin is gradually gaining back some of its natural hydration. This will ultimately reveal which item is causing your dry skin. To combat your skin’s irritation, we recommend solely buying “free” products. When we mention “free” products, we’re referring to products that are free of the unnecessary ingredients that lead to your irritated skin. Try sticking to merchandise that’s fragrance-free, dye-free, and hypoallergenic. Also, staying away from skin care products that contain alcohol, retinol, and alpha hydroxy acid will help your skin retain some of its natural oil. Although skin is the largest organ on your body, it tends to have high levels of sensitivity—so it’s important to be cautious of what it comes in contact with. Make a point to be conscious of what irritating materials you’re exposing your skin to. You are what you eat. We’ve all heard this saying before. And typically, it’s true. What you put into your body reflects what’s on the outside, which is why maintaining good health is a vital step to take when reversing your dry skin symptoms. When it comes to eating right, it’s important to remember that it’s all about balance. Eating three well-balanced meals throughout your day along with sufficient fats and supplements is imperative to healthy skin. These ingredients will help combat your dry skin. Yet, it’s important to remember to never overdo it. For example, if you’re deficient in fat or certain vitamins, these items have the potential to affect the look or feel of your skin. However, supplementing yourself beyond what your body needs hasn’t been proven to improve the state of your skin. So if you already eat a balanced diet, these suggestions are not necessarily a quick fix. You’ve combatted the weather, limited your shower time, switched your cleansers, replaced irritating materials, and started to eat a well-balanced diet. You’ve tried everything to help your dry skin and nothing has proven successful. What should you do now? If you find yourself in this position, you may have more than just dry skin. In fact, there are several different medical conditions that can cause dry skin. We recommend consulting your dermatologist to rule out these conditions. Typically, dry skin is a harmless symptom that can be fixed with a few minor adjustments. But if you find yourself questioning your symptoms, don’t hesitate to contact us today! 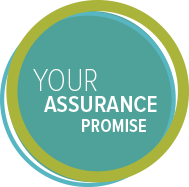 At Arizona Dermatology, we’ve taken an assurance promise that acts as our pledge to you. Through experience, longevity, trust, innovation, and care, we promise to be partners in the path to better skin—no matter what that journey may look like! So regardless of whether or not you know the source of your dry skin, come see us at any of our seven locations. We can’t wait to meet you, address any of your concerns, and get you on the road to healthy, hydrated skin.